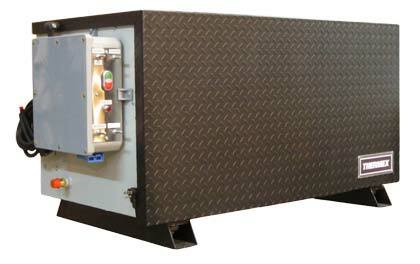 PortaThaw® Cold Start System is a diesel fired coolant heater designed for rapid warm up of frozen equipment. PortaThaw® connects up to the Thermex Quick Coupler Assembly. Coolant hose lines are installed to / from the engine block to the Quick-Coupler manifold on any type of heavy-duty piece of equipment. This installation takes about 4-6 man hours. PortaThaw® pumps coolant from the frozen vehicle’s engine, through it’s heat exchanger, which rapidly warm’s up coolant, then back into the vehicle’s engine block; thereby safely bringing up to a starting temperature. This cycle is repeated until the engine coolant has reached desired operational parameters. Unit will then shut-off heating cycle but continue to circulate coolant and monitor temperature until operator shuts down, disconnects, and precedes with engine start-up. This process can usually be executed in less than an hour depending upon the size of the equipment or vehicle. Using PortaThaw® is one of the fastest methods of asset recovery today. 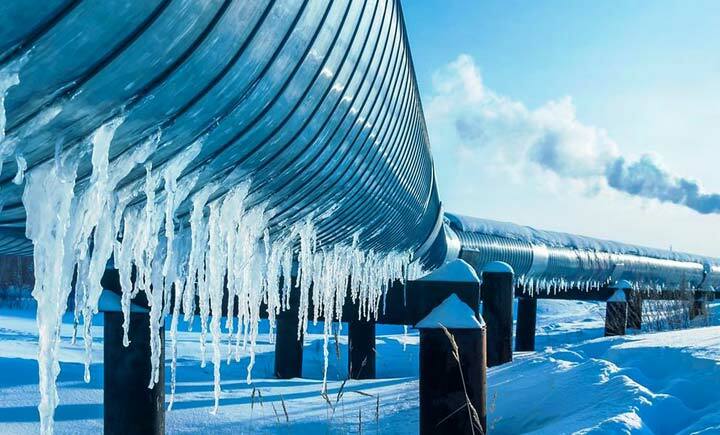 PortaThaw® enclosed Oilfield version quick-couples up to tank or manifold access ports and circulates water through its heat exchanger for freeze protection. Hose reels simplify operation.